A bunch of stuff inspire us to do what we do, so we are sharing it here! It was announced earlier this week in Italy that Cioccolato di Modica obtained the IGP certification (Indicazione Geografica Protetta). IGP is a certification of origin that the European Union gives to food and agricultural products of high quality, reputation or characteristics, depending on its geographic origin and the transformation or production that occurs in that specific area. Italy is the European country with more IGP products, more tan 120, between fruits, vegetables, vinegars, cold meats, breads, wines, among other category of products. Those who produce a product under this certification must follow established strict rules, which will be guaranteed by a specific controlling organism, in order to look after the quality of the product and to protect the consumer. Modica is a small region in the southeast part of Sicily, and has become a point of interest amongst many gastronomic aficionados, because of its particular mode of making chocolate. The Cioccolato di Modica, now recognized with the IGP, is the result of an artisan production of the raw bitter cacao mass with sugar, without applying any heat and without undergoing the conching an tempering phases, also without any addition of extra fat, besides those natural to cacao. This assures that the sugar crystals don’t dissolve, giving the chocolate a grainy consistency that feels rough and savory on the palate. This way of processing the cacao seeds has its origins in the ancestral Aztec population, and according to the historical data, the Spanish, who dominated the territory for many years during XVI century, brought it to the Italian island. The Spanish not only brought the cacao seeds from America, but also the tools that the Aztecs used for its production, and thanks to that in Modica this important tradition of producing the Cioccolato Modicano persists. Later, during the industrial revolution, the conching and tempering techniques appeared, but because of the strong influence of the Spanish Crown in the Modica area, the traditional technique survived and today it represents a gastronomic highlight of this small town. According to connoisseurs, the real Cioccolato Tradizionale Modicano must contain only three ingredients: high quality cacao mass, obtained under the traditional artisan method, sugar and spices (cinnamon or vanilla). Nonetheless, in the IGP certification now given, there are a few loose ends that has caused a bit of animosity amongst more traditional producers, since it doesn’t specify that the spices added should ONLY be cinnamon or vanilla, nor it establishes that the cacao mass must be produced under the rigorous modican traditional methods. Overlooking this specific details, according to some, could put at risk the protection of real artisans, affecting also the quality of the product, since without these specific rules now the certification could be awarded to unworthy producers, taking advantage of the IGP as a marketing tool and not as a way of honoring the real tradition behind this kind of preparation. 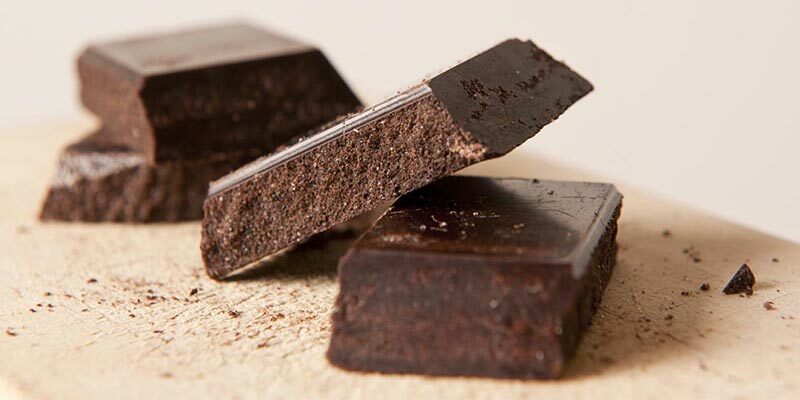 If you want to be sure that you’re trying the real Cioccolato Tradizionale Modicano, the best way is to do a small research and be well informed before buying it. We would suggest getting it from one of the most traditional chocolate makers, such as Antica Dolceria Bonajuto, producers of this kind of chocolate since 1880. This family run company is a point of reference within region, not only because it’s one of the most respectful and rigorous of the tradition, when it comes to the cioccolato production, but also because the quality of the cacao seeds that they use to produce their products, for example the Criollo Chuao seeds from the coast of Venezuela, that are one of the most prestigious in the World. It’s no news that vinyls are back. They have made a comeback over the last few years and the statistics show that more and more people are buying them. It’s not a hipster trend anymore. 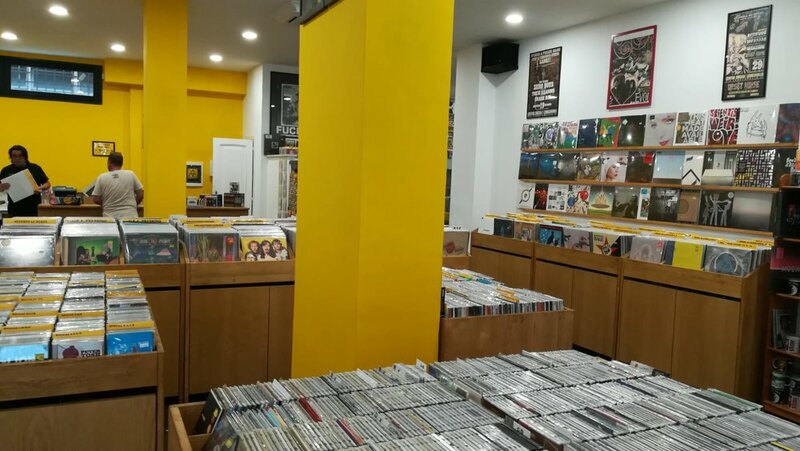 Vinyl shops have resurfaced and customers are pouring in with an enthusiasm for listening and collecting music once again. We’re one of them and here’s why. The love for music was always there, we grew up listening to it, and it was always present in our home, not in the background but rather as a way to celebrate life. It’s easy to associate memories and time periods with specific songs, artists and even albums. The importance that we used to give to music got lost somehow and somewhere during the digital era. Since it was easier to get access to music, this also made it easier to forget and put it aside. Earlier this year we inherited a turntable that was bought by an uncle and used during the seventies. It was roughed up and not fully functional, but after a quick search online we discovered that we had in our hands a very much valued turntable, praised by audiophiles, so we took on the challenge to overhaul it. Much to our surprise, we then found out that all this time the vinyl community was still there, in the shadows. Even though after the nineties less and less records were produced, giving way to CDs and later mp3s, people were still collecting, exchanging and listening to them. 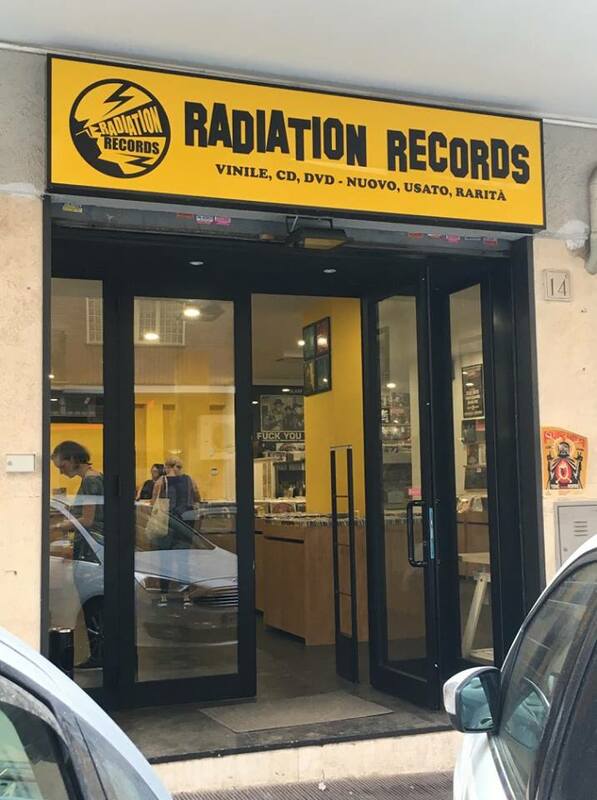 We realized that so many who decided not to give in to the digital formats, and always felt that the music listening experience was important, have now found a new place to hang out, no longer at vinyl shops but online. There, in the Internet, a global vinyl community was willing to lend beginners like us a hand. 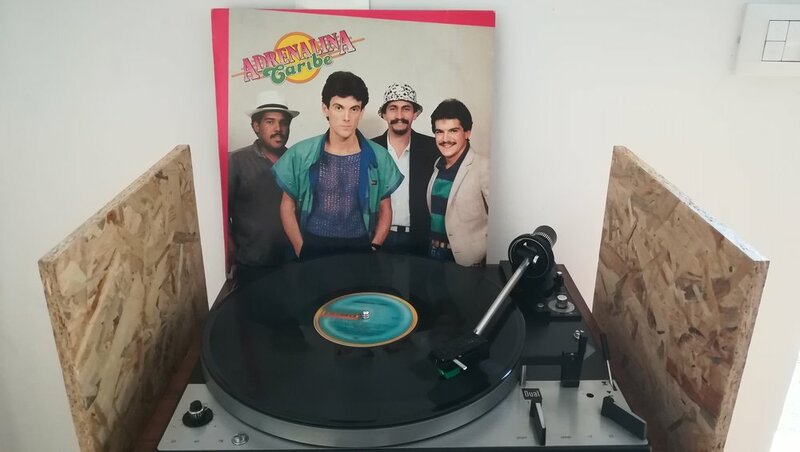 Thanks to them we have now managed to revamp an amazing turntable, and after lots of patience and frustrating mishaps, we are now rewarded by a newfound passion for music. Technology nowadays tends to alienate us more and more, but ironically thanks to it, with the help of YouTube tutorials and online forums, we were able to rediscover a great way to come together through music. It happens now every time we take the time to put on a record and actually listen to it, when we go out looking for vinyl shops and pay for records, when we sit down and read the lyrics, actually appreciating the effort the artist put in making that album. We now feel part of a community that takes the time to appreciate music, to celebrate life. The biggest database and online marketplace, where you can find any piece of music imaginable that has ever been produced: LPs, eight-tracks, cassettes and CDs. Oh! mangiare... who doesn’t like it? A real pleasure, a MUST to do it properly. Being a big city, Rome, is no exception: restaurants everywhere, so many options, you would just need to choose what and where to eat, as if it were that easy. We would like to help you in what it seems an arduous duty, so we left below a list of our gastronomic roman highlights. Stay away from those tourist traps, and don’t let what could be a wonderful experience to become a nightmare. The traditional Roman Cuisine is characterized by putting il Quinto Quarto up front as a fundamental ingredient of the most succulent dishes. The Quinto Quarto is all of that which remains of the animal (bovine or ovine meat) after the extraction of the most precious and expensive parts: the two anterior quartets, and the two posterior ones. We’re talking about all, which is then edible from the interior, like the intestines, the kidney, the heart, the liver, the spleen, the pancreas, the salivary glands, the brain and the tongue. From the ox, is used the tale as well to prepare the famous Coda alla Vaccinara. And in the case of the pig and the calf, the legs are also used. If you dare, and you are one of those who like to try everything, be adventurous and have one of these meals: Pajata, Trippa alla romana or la Coda alla Vaccinara. You will not regret it. If you’re into pizza (who isn’t), the Roman way is to eat it at any time of the day, in its taglio version, which means by slides. If you visit one of these places, you will find the pizza trays, ready to be cut it in the size of your choice, and with a variety of toppings, ranging from the classic ones like Margherita and Marinara, or la Bianca con Mortadella, to more extreme combinations like Patate (potato) and Speck. You can find Pizza al taglio pretty much everywhere, but if you want to try a high quality and very digestible one, you must go to Gabriele Bonci’s places. The classic roman round pizza is thin and crunchy, without the thick border, a typical trait of the Neapolitan version, but a new generation of roman Pizzaioili, offer new alternatives, experimenting with rising methods, flours combinations and flavors innovation. Among them, Pier Daniele Seus stands out, who in short time has caught the attention of connoisseurs, and already has established two pizzerie in town. One, inside Mercato Centrale di Roma Stazione Termini, and a bigger one in the city’s south-west part. His pizza? Not Romana, nor Napolitana, we would call it Seusiana. The Trapizzino is a gastronomic invention that in only ten years has become an icon of the city´s street food culture. Stefano Callegari, famous pizzaiolo, was inspired by the Tramezzino´s form (that of the classic triangular sandwich) and created using a words play, the Trapizzino, a triangle made from pizza dough and filled with the flavors of famous Italian dishes. It´s like eating a dish of Pollo alla Cacciatora, Polpette al Sugo o Parmigiana di Melanzane, without renouncing to the practicality and the price of a street food meal. Seems like a good idea, right? That´s why Callegari patented, and has now opened restaurants in Rome, Florence, Milan and New York. When in Rome… Well, if you are planning to come over and visit, and you would like to camouflage between the locals, you must choose the fritti (stir fry) as a starter. From all the great variety, the most iconic one is the Supplì. It’s like a croquette of rice filled with tomato sauce and mozzarella cheese. You can also find it in more gourmet versions, such as all’ Amatriciana o all‘nduja. After a night out partying, Romans tend to go home only after eating something sweet. As tradition dictates il Maritozzo is the place to go and have this sweet bread filled with cream. Il Maritozzaro. Via Ettore Rolli, 50. Caña Clara started just over a year ago and they are already creating a buzz. They present themselves as a video agency committed to make all kinds of original content through the lens of a camera. Coming from similar interests and working backgrounds, this video production company was formed by a group of Venezuelans that moved to Mexico City. In a short period of time they have already produced promotional and music videos, three short documentaries and will be soon starting the post-production of a movie. Their work is available online and after having a look at it you can immediately sense a common narrative, which tends to follow particular groups inside a community and focus on a characteristic passion that binds them. Their camera use is very subtle and non intrusive, putting you right in the middle of the story and making you feel as one of the characters they are portraying. By their own means, a small budget and lots of creative drive, they are already making a name for themselves. Their short documentaries have been selected in film festivals around Mexico, including the Guanajuato International Film Festival, where Lingo Lilingo, Baile que Baile, was competing alongside different documentaries from around the globe. Watch it below! We would definitely keep an eye on them and can’t wait to see what’s next in their to-do list. Follow them on Instagram and Facebook so you don’t miss out on their upcoming projects. Desde que amanece hasta que anochece, los bailadores de la Ciudad de México celebran la vida al ritmo de la música. Este corto documental recorre los lugares de baile más emblemáticos de la metrópolis a través de los personajes que los frecuentan. Our first approach to Luis Romero’s work was from afar, through photography. We got to him by chance, and it was love at first sight, or better yet, a sight for sore eyes. After enjoying his work on a daily basis thanks to Instagram, and after becoming compulsive “likers” (pardon us) we realized that this profile belonged to a renowned artist, which until then, we were not fortunate of knowing. Luis Romero (1967) is a Venezuelan plastic artist, born and grown in Caracas. His work uses and feeds on diverse artistic technics, like collage, photography and graphic arts. He creates a visual language that takes us through a fascinating semiotic journey, where that which is urban and mundane, gain new meanings, perspectives and values. Romero started a successful artistic career during the nineties and since then he has been recognized with important acknowledgments. His work has been displayed nationally and internationally in collective and personal exhibitions, and he has also been a head of cultural institutions and curator for other artists’ exhibits. His most recent work C(R)UDO is currently exhibiting in Beatriz Gil Gallery in Caracas until the end of this month. If you're lucky enough to be around do stop by and if not we invite you to take a daily ride through his particular point of view on his Instagram account. The relationship between Arts & Science seems distant, mysterious even, but actually these two worlds, that seem to go on two parallel roads, have lots of crossroads, and Regina Giménez work is one of them. The Catalan artist uses codes and pre existing graphic elements, created in other spaces, with not precisely artistic means, such as geography texts, or architecture; to then reshape and alter them, giving them a new meaning in the pictorial field, through composition, color and repetition. This way, these graphic elements take on a new life, are reborn, and open up new possibilities to all fields of knowledge, exploring new utopian scenarios, reinterpreting modernity. Regina Giménez (Barcelona, 1966) has been recognized many times throughout her career thanks to her work. She has been displayed in individual exhibitions in Madrid, Barcelona, Paris and Brussels, amongst other important cities; as well as in other collective exhibitions like the Madrid international Art Fair (ARCO), which she is currently in since 1997. Follow Regina on Instagram and discover more about her work. La relación entre las artes y la ciencias parecería ser lejana, y a veces misteriosa, pero en realidad estos mundos que aparentan andar por senderos paralelos, tienen muchos puntos de encuentro, y la obra de Regina Giménez es uno de ellos. La artista catalana utiliza códigos y elementos gráficos pre existentes que fueron creados en otros ámbitos con finalidades no precisamente artísticas, como por ejemplo para textos de geografía o arquitectura, y los reinterpreta e interviene para darle así nuevas lecturas en el campo pictórico , a través de la composición, el color, y la repetición. De esta manera esos gráficos o elementos reviven y dan posibilidades a nuevos campos del conocimiento, a la exploración de escenarios utópicos, a nuevas interpretaciones de la modernidad. Regina Giménez (Barcelona, 1966) ha sido merecedora de importantes reconocimientos y premios . Su obra ha estado en exposiciones individuales en Madrid, Barcelona, París y Bruselas, entre otras ciudades, así como en múltiples muestras colectivas como la Feria Internacional de Arte Contemporaneo de Madrid(ARCO), en la cual está presente anualmente desde 1997. Sigue a Regina en Instagram y descubre más sobre su trabajo. For them the future means, of course innovation, but also to shine on tradition. This week we feature Colectivo Futuro, in their words, a dedicated cultural node where art forms and people converge. Exactly what caught our eye about them, is not only a site where you can find new interesting distinct things happening in the creative fields: music, arts, design, but their founders and collaborators are an active part of this cultural wave. Colectivo Futuro goes beyond being a virtual community to become a real cultural expression through the events they organize and promote. Over the years they have curated unique parties, concerts and art exhibitions in major cities across the world; they recently started an independent record label to promote new artists; they regularly self-produce a radio show exploring and sharing their views on new music; and the possibilities to what’s next are infinite, just like the future they visualize.